The deepest sin against the human mind is to believe things without evidence. Science is simply common sense at its best - that is, rigidly accurate in observation, and merciless to fallacy in logic. Science is, I believe, nothing but trained and organised common sense, differing from the latter only as a veteran may differ from a raw recruit: and its methods differ from those of common sense only so far as the guardsman's cut and thrust differ from the manner in which a savage wields his club. Truly it has been said, that to a clear eye the smallest fact is a window through which the Infinite may be seen. Sit down before fact as a little child, be prepared to give up every preconceived notion, follow humbly wherever and whatever abysses nature leads, or you will learn nothing. I have only begun to learn content and peace of mind since I have resolved at all risks to do this. When Astronomy was young "the morning stars sang together for joy," and the planets were guided in their courses by celestial hands. Now, the harmony of the stars has resolved itself into gravitation according to the inverse squares of the distances, and the orbits of the planets are deducible from the laws of the forces which allow a schoolboy's stone to break a window. In matters of the intellect follow your reason as far as it will take you, without regard to any other consideration... and do not pretend that conclusions are certain which are not demonstrated or demonstrable. That I take to be the agnostic faith, which if a man keep whole and undefiled, he shall not be ashamed to look the universe in the face, whatever the future may have in store for him. A man has no reason to be ashamed of having an ape for his grandfather. If there were an ancestor whom I should feel shame in recalling it would rather be a man—a man of restless and versatile intellect—who, not content with an equivocal success in his own sphere of activity, plunges into scientific questions with which he has no real acquaintance, only to obscure them with an aimless rhetoric, and distract the attention of his hearers from the real point at issue by eloquent digressions and skilled appeals to religious prejudice. The great tragedy of Science.. Is the slaying of a beautiful hypothesis by an ugly fact. Not only does every animal live at the expense of some other animal or plant, but the very plants are at war.… The individuals of a species are like the crew of a foundered ship, and none but good swimmers have a chance of reaching the land. There is no alleviation for the sufferings of mankind except veracity of thought and of action, and the resolute facing of the world as it is when the garment of make-believe by which pious hands have hidden its uglier features is stripped off. 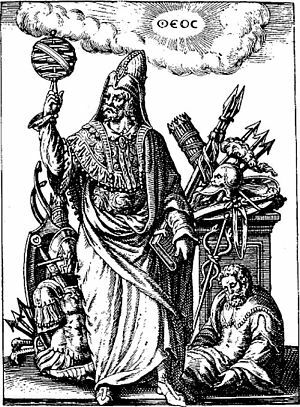 The chess-board is the world; the pieces are the phenomena of the universe; the rules of thegame are what we call the laws of Nature. The player on the other side is hidden from us. We know that his play is always fair, just, and patient. But also we know, to our cost, that he never overlooks a mistake, or makes the smallest allowance for ignorance. The saying that a little knowledge is a dangerous thing is, to my mind, a very dangerous adage... If a little knowledge is dangerous, where is the man who has so much as to be out of danger? Whoso clearly appreciates all that is implied in the falling of a stone can have no difficulty about any doctrine simply on account of its marvelousness. But the longer I live, the more obvious it is to me that the most sacred act of a man's life is to say and to feel, "I believe such and such to be true." All the greatest rewards and all the heaviest penalties of existence cling about that act. The universe is one and the same throughout; and if the condition of my success in unraveling some little difficulty of anatomy or physiology is that I shall rigorously refuse to put faith in that which does not rest on sufficient evidence, I cannot believe that the great mysteries of existence will be laid open to me on other terms. It is no use to talk to me of analogies and probabilities. I know what I mean when I say I believe in the law of the inverse squares, and I will not rest my life and hopes upon weaker convictions. I dare not if I would. The motive of the drama of human life is the necessity, laid upon every man who comes into the world, of discovering the mean between self-assertion and self-restraint suited to his character and his circumstances. And the eternally tragic aspect of the drama lies in this: that the problem set before us is one the elements of which can be but imperfectly known, and of which even an approximately right solution rarely presents itself, until that stern critic, aged experience, has been furnished with ample justification for venting his sarcastic humor upon the irreparable blunders we have already made. Unfortunately, it is much easier to shut one's eyes to good than to evil. Pain and sorrow knock at our doors more loudly than pleasure and happiness; and the prints of their heavy footsteps are less easily effaced. 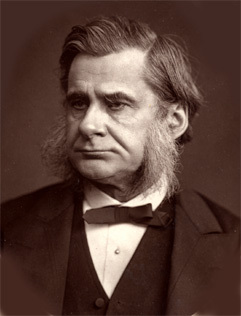 Thomas Henry Huxley was an English biologist. He is best known for his life long advocacy of free-thought. He was an ardent follower and advocator of Darwins theory of Evolution.